" My dear child do not worry about me, Water. I recover quickly with the song of our birds, the love of trees, with movement, moments of rest and the prayers moving around our Earth. I regain balance with your heartfelt tears, your remembered songs added to the ones of so many now. Do not focus your energy on 'Saving me'. Something way more profound is taking place right now, listen and observe! You have five years​ as a species to Wake up, Mature and Remember in your bones that you belong to Life "
​As Spring 2017 came I gathered the courage and fiery passion to share Water's message with others. A Series of Interviews came out of it. It is a series of interviews with women and men engaging fully with our collapsing world, our dying systems, our grief, our deep love and longing to fully participate in our world in ways of soul and beauty. Below are the responses of good people...a growing river. These interviews have one thread in common. A message that was given to me by Water on the 2nd of Dec 2016. This message is read to each person in this 'Conversations with Grief' activating a unique response. So far I have spoken with and recorded Joanna Macy, Jon Young, Francis Weller, Manda Scott, Pat McCabe, ​Megan Hollingsworth, Stephan Harding, Pablo Servigne, Stephen Jenkinson, Simon Be, and Li An Phoa… each one bringing a thread for a cloth weaving in the past, present and future… I anticipate mystery and our bone memory to be awakened by it. The words you received at Dartmeet live on in me. 'Conversation with Grief' starts with Jon Young and his beautiful ways of weaving words and heart. Jon Young: For over 30 years, Jon Young has been a leader in the field of village building, nature-based education, Permaculture and cultural mentoring, implementing vital advancements in the understanding and benefits of effective nature- and people-connection modeling. Jon is a deep nature connection mentor, wildlife tracker, peacemaker, author, workshop leader, village builder, consultant, inspiring public speaker and storyteller. 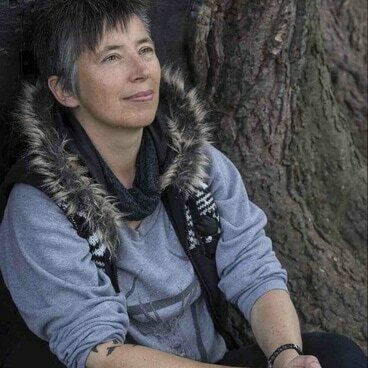 Francis Weller, MFT, is a psychotherapist, writer and soul activist. He is a master of synthesizing diverse streams of thought from psychology, anthropology, mythology, alchemy, indigenous cultures and poetic traditions. Author of The Wild Edge of Sorrow: Rituals of Renewal and the Sacred Work of Grief, he has introduced the healing work of ritual to thousands of people. The core of his work is creating pathways to reclaiming our indigenous soul, what psychologist Carl Jung called the “unforgotten wisdom” that resides in the heart of the psyche. To further this work, he founded and directs WisdomBridge, an organization that offers educational programs that seek to integrate the wisdom from traditional cultures with the insights and knowledge gathered from western cultures. In February 2017, she set up One Hour for One World in an effort to bring humanity’s consciousness to bear on the crises afflicting the world. The invitation is to bring one hour of attention at 7pm GMT/BST (local London time) on the first Sunday of every month. If not us, who? If not now, when? Pat McCabe ~ Woman Stands Shining responds with a deeply moving prayer and a praise to Water in response to the above message, deep gratitude for your love. ​Woman Stands Shining, Pat McCabe, has the honour of being of the Dine (Navajo) Nation. She brings the understanding of Indigenous ways of knowing into discussion and inquiry on Sustainability. She carries the foundation of Beauty and Spirit into places where it has been kept out. Pat is an active participant in Indigenous Peoples gatherings worldwide including Chile, Belgium, Ecuador, Peru, Mexico and Bali. 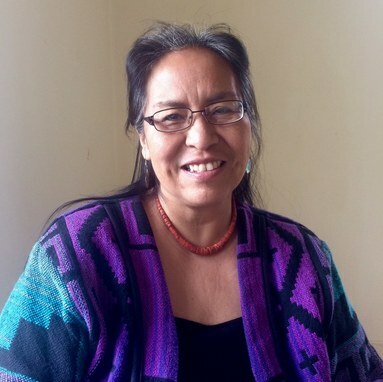 She has worked with the International Center for Cultural Studies in India and with Sarvodaya with Dr. A.T. Ariyaratne in Sri Lanka, as well as with organizations and gatherings in the U.S. She has been a cultural consultant to the Pachamama Alliance, presenting at the 2013and 2014 National Bioneers Conference, and presenting on “The Feminine Design and Sustainability” in the U.S. and Internationally. Megan's response is of Life herself. Vibrant, real, raw and so beautiful…we are getting closer to hearing what Water said. Stephan Harding: Since childhood Stephan has had a deep fascination with the natural world, and his scientific cast of mind lead him to do a degree in Zoology at the University of Durham and then a doctorate on the behavioural ecology of the muntjac deer at Oxford University. After completing his first degree he returned to Venezuela where he was a field assistant for the Smithsonian Institute, studying mammalian diversity in the rainforest and in the lowland plains. After Oxford Stephan was appointed Visiting Professor in Wildlife Management at the National University in Costa Rica, where he lived for two years before becoming a founder member of Schumacher College in 1990. At Schumacher College Stephan has taught alongside many of the world’s leading ecological thinkers and activists, including Arne Naess, Fritjof Capra, Vandana Shiva, David Abram, James Lovelock and Lynn Margulis. Stephan is author of Animate Earth: Science, Intuition and Gaia. Green Books, and editor of Grow Small, Think Beautiful. Floris Books. He is also the writer and presenter of the documentary film Animate Earth, produced by Angel TV. Pablo Servigne est père de deux jeunes garçons et a quitté la vie urbaine il y a trois ans pour s'installer dans la montagne. Il a une formation d’ingénieur agronome et un doctorat en biologie. Il a aussi quitté le monde académique en 2008 pour devenir « chercheur in-terre-dépendant ». Auteur et conférencier (author and speaker), il anime aussi des ateliers de permaculture et de Travail-qui-relie (de Joanna Macy). Ses principaux ouvrages : Nourrir l’Europe en temps de crise. Vers de systèmes alimentaires résilients (Nature & Progrès Belgique, 2014), Petit traité de résilience locale (Charles Leopold Meyer, 2015), Comment tout peut s’effondrer. Petit manuel de collapsologie à l’usage des générations présentes (Seuil, 2015), et L'entraide, l'autre loi de la jungle (Les Liens qui Libèrent, à paraitre). After a standing ovation and an Encore Night of Grief and Mystery in Totnes last night (24th May 2017) co-hosted by SOULand, Stephen and our small gathering seat around a table for a midnight feast, delicious wine and single heathery malt. Stephen Jenkinson hears from me of the message of Water. We stumble together through our tiredness and delights to weave a conversation. Here it is… Background noises are of feeding, greeting and gathering ~ grateful! 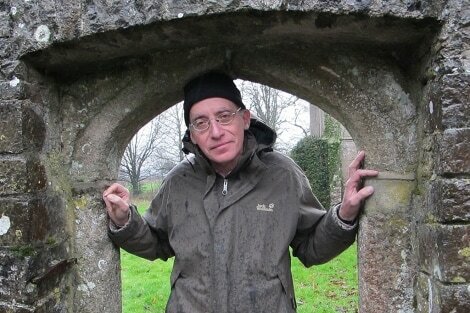 Simon Bramwell is a Pagan celebrant, a carer, and co founder of Rising Up, a direct action network and the lightning tree project, a deep inquiry into what skills are needed to village build at the end of the world. He's also a member of the highly dubious Medicinal Order of the Hyena , an international covergence of revolutionary witch's. 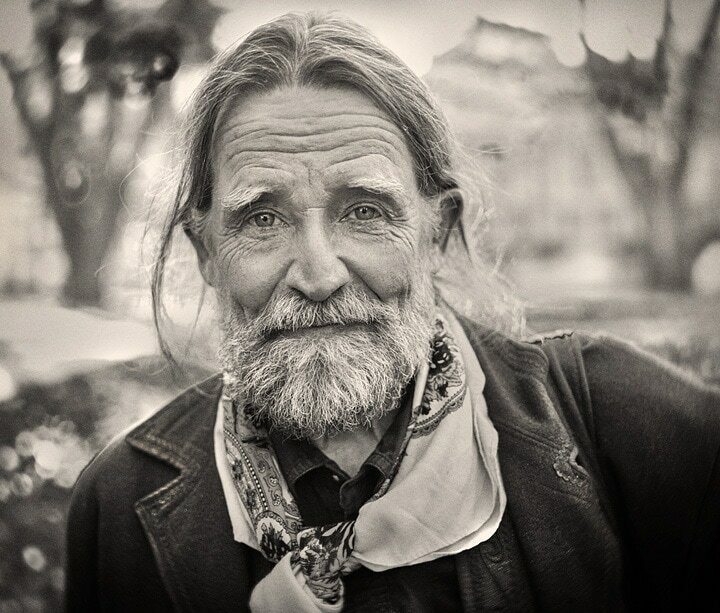 He's been a recovering hope addict for the past decade and remains smitten by grief, love and the absolute conviction that true change can only be wrought through direct action in both the inner and outer worlds. He's currently busy co creating the extinction rebellion, a non violent campaign for ecological and social change. He recognises that no lasting change will occur until the earth shakes with unacknowledged grief and the initiation it brings. Li An Phoa responds here to the message of Water. ​Li An is a watershed system’s thinker & actor. Trained in whole system ecology, philosophy and business, she engages people through outdoor learning experiences and initiates projects on landscapes, food and water. She started Drinkable Rivers, as indicators for healthy living. 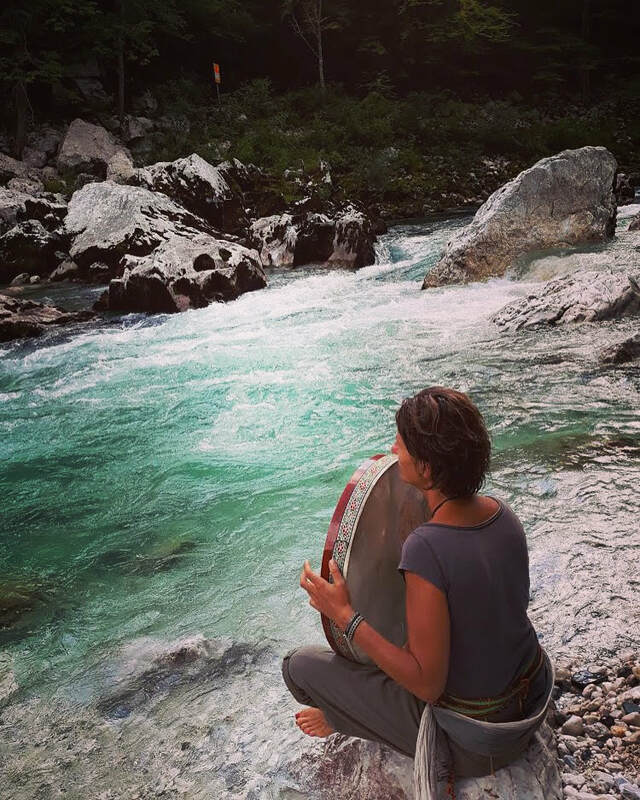 She mobilises people in watersheds by organising walks that connect us on a deeply personal level, as a group/team and with the genius of place. She walked 1061km from source-to-sea walk along the river Meuse-Maas and engaged local people to care for Drinkable Rivers and in a water quality citizen science research. All of us; Soil, Water, Plants, Air, Animals and all Ancestors are Calling YOU Humans, to Us so we can Save YOUR species. We know and have known for a while that you do not have much time left if you do not wake up to your birthright Belonging to Earth and come Home soon, real real soon. We keep dying, we keep Giving Away our Lives to shake you up from a deep and very long amnesia. Once you can allow the truth and quality of such Love to permeate through your traumatised being and desolate soul you will wake up from a life time of anesthesia to your immense grief and capacity for Love.